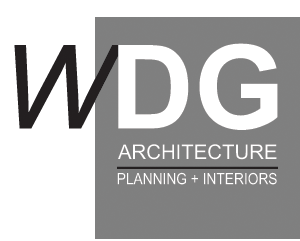 WDG Architecture | Planning + Interiors is a Naples, Florida based full service architecture firm with both residential and commercial design studios. The firm was originally established in 1991 by husband and wife partners Bill and Kerry Weber who were each born and raised in Naples. Over the next two decades the practice became an award-winning residential design firm with recognition throughout the United States and internationally. In the 2000’s, the firm expanded to Palm Beach as demand for its homes was increasing on the east coast of Florida. During this same time the firm also started doing multi-family residential and small commercial projects as property owners and developers wanted to utilize the firm’s design expertise. Today more than 25 years later, WDG Architecture | Planning + Interiors is led by partners Robert Mongillo, B.Arch.E. and Thomas Jones, AIA, LEED AP. Rob had been instrumental in shaping the firm’s culture and success over the past decade in a leadership position while concentrating primarily in residential project types. Tom had joined the firm in 2017 to expand its commercial design studio after 20 years of doing primarily large-scale commercial projects as the lead designer for two of the biggest firms in Naples. Together as partners they have infused their diversified skill sets and experience into the practice in order to further expand the firm’s capabilities. Their aligned core values in business ethics, management, and office culture have created a sustainable practice that will provide for the continued success of WDG Architecture in the future. Are designers really necessary in order to build a house, organize interior space, or plan a city? Should we build things without much thought and planning in order to save money? Are the things that we build and the products we produce actually just a function of economic concerns in a means- to-an-end pragmatic process? Every designed object we use has a functional purpose balanced with an aesthetic value. Many people can understand practical purpose but many people also assume aesthetic value is subjectively held, if not simply arbitrarily derived. In that sense, anybody could be a designer or have a relevant opinion about what constitutes good design. There is a need to qualify good design and at the same time realize that while we may not like or understand the aesthetic value of something, it doesn’t mean that good design has not been created. We have been conditioned to regard “style” and “trends” as the gauge for relevant design while not being open to what the possibilities could be, or should be, for a particular place and time. Good design actually goes beyond the arbitrary, or simple intuitive conclusions, or stylistic solutions that mimic trends. Good design is the gifting of creative ability harmonized with the understanding of specific practical needs. It is based on relevant ideas that effectively transform into a three-dimensional reality which in turn enhances our experiences in life. In the practice of architecture, as with many other design related professions, the way we arrive at a relevant design solution is by the process we employ. That process involves the assimilation of a multitude of variables that we analyze, consider, and implement. In architecture, that process has to start with dialog, collaboration, and a physical space. These expose practical needs, problems to solve, and physical constraints. Coupled with them are other aspects related to site specific conditions, cultural relevancy, and a social responsibility. When so many mutually exclusive elements are at play, a process oriented approach is critical in order to arrive at a good design solution. Whether, a private residence that responds to the lifestyle of its occupants and environmental context, or a public building that responds to greater human needs and the fabric of a city, good design is the result of an intelligent and intentional process. Good design actually goes beyond the arbitrary, or simple intuitive conclusions, or stylistic solutions that mimic trends. Good design is the gifting of creative ability harmonized with the understanding of specific practical needs. It is based on relevant ideas that effectively transform into a three-dimensional reality which in turn enhances our experiences in life. In the practice of architecture, as with many other design related professions, the way we arrive at a relevant design solutions is by the process we employ. That process involves the assimilation of a multitude of variables that we analyze, consider, and implement.